Ratchets because of the simple design and noisy sounds were related not only with fun but also with folk Easter rites. Until recently, in the Polish countryside in Easter time, people departed from Lent for a moment and played loud, made a noise and joked. Ratchets and knockers are associated with somewhat forgotten tradition – mid-Lent. Until recently, the Polish countryside at that time departed from the ascetic way of life for a moment in order to bring spring by making a noise. Joyful groups of kids were running around from house to house holding loud knockers, ratchets, rattles and announcing their neighbours that is already "mid-Lent, mid-Lent!!!". It was the custom, accompanied by singing and playing together for which children could get small gifts - sweets or money. It was not only the announcement of the upcoming Easter but also much-anticipated spring. The rhythmic sound of ratchets and knockers was meant to awake people from winter lethargy. The instruments recorded in the project come from museum of sound with more than 80 thousand object collections from the National Ethnographic Museum in Warsaw. 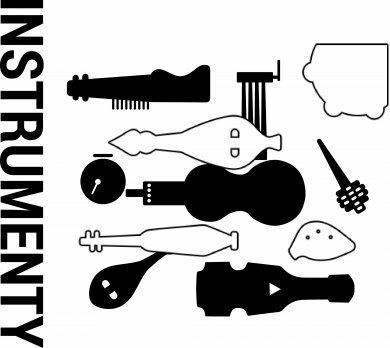 Together with museum staff we have chosen 23 instruments guided by the following principles – they should be definitely folk, unusual, derived from the old times, Polish and coming from different cultural backgrounds, also exotic like e.g. Asian. Recording a full range of tone of 23 instruments - tonal and sonic scale lasted several days. Thanks to the recordings - sound banks were created and have been used in the project in two ways. 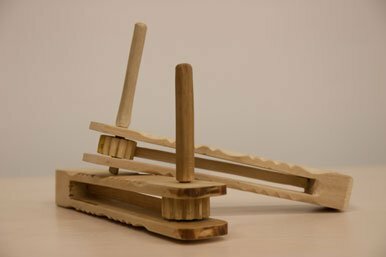 The first way was based on motion-sensitive controllers which created new practical instrumentarium for use during the workshops and animation activities. The second way was placing recorded sounds on the website for promotion of the idea of the project and gathering a great number of recipients. All instruments were also photographed and described which enabled creating of publicly accessible compendium of information about them.